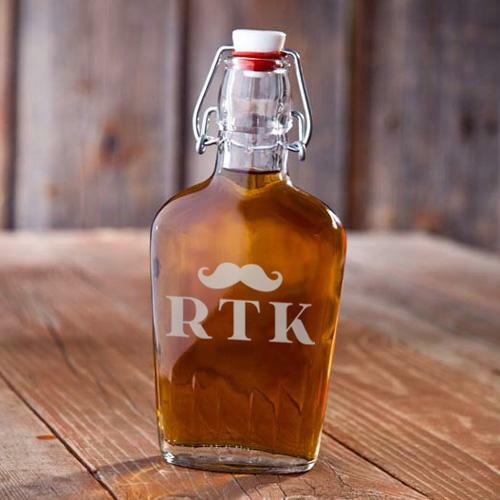 Our Personalized Vintage Glass Mustache Flasks feature a retro design that harkens back to years gone by. Each flask holds 8.5oz. 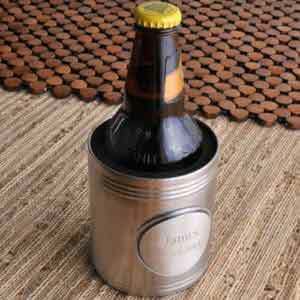 and features a gentlemanly mustache and the recipient’s initials or name engraved on the front. Shopping for a wedding? 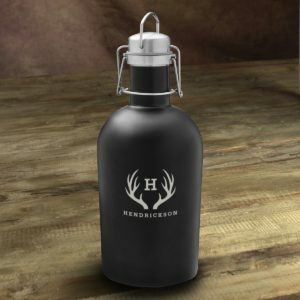 Give your groomsmen this truly unique gift that they’ll enjoy drinking from for many years to come. Measures 8" x 3 3/4" 1 1/2". Personalize with the recipient's initials or name at no extra cost.